The MotionLearn Mini is the same great technology and high quality as the MotionLearn Pro now in a smaller size to fit just about anywhere. Fully integrated "All-in-One" Interactive System. Portable Plug & Play solution with virtually no technical skills required. 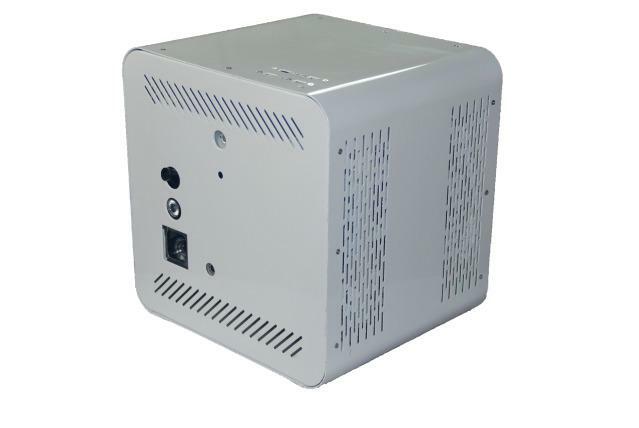 LED Digital Projection - 1,000 lumens. Camera & IR Sensory for fully captured movement and interaction. Over 170+ customizable standard effects to choose from. Comes with 25 effects of your choice. Projected Image: Up to 87" x 49" Throw Distance: Up to 59" Image Resolution: WXGA (1200 x 800 pixels) Ships directly from the manufacturer. Lead time 10 business days. Dimensions: W: 12" x H: 12" x D: 12"